It’s true though, London is a geek girl heaven. Fan of Sherlock? 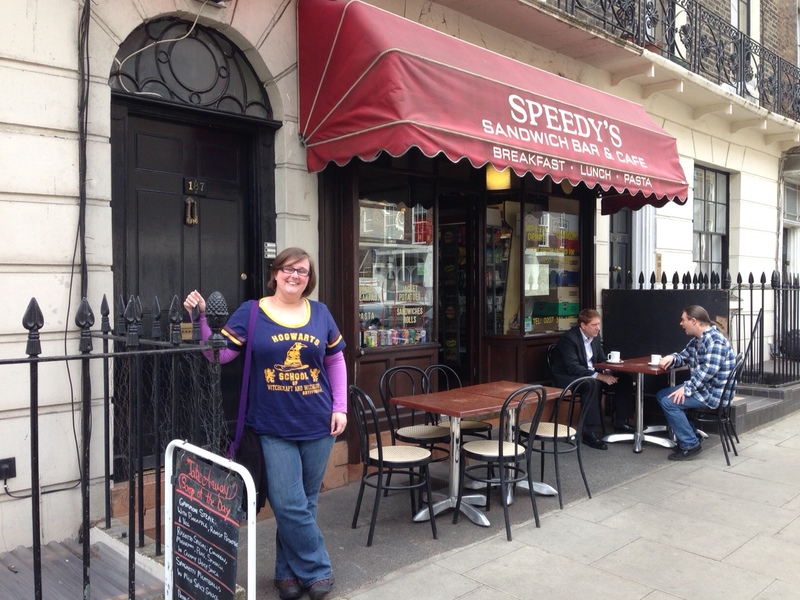 Then definitely check out Speedys Café (where the external bits of 221b Baker Street are shot). It’s not on Baker Street though, you will need to head a couple of Tube stops away to North Gower Street. Then head to St Barts hospital before it gets knocked down! 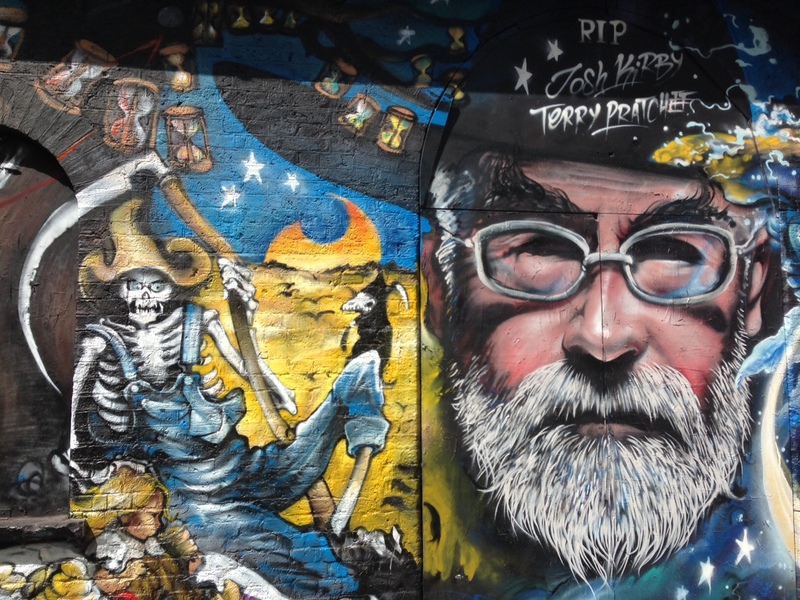 If you are a lover of all things Pratchett and are still mourning the fact that he is no longer with us, I would definitely recommend heading to Brick Lane and taking a trip down one of the side streets, Code Street to be precise. There is some breathtaking street art celebrating him and the artwork of Josh Kirby. 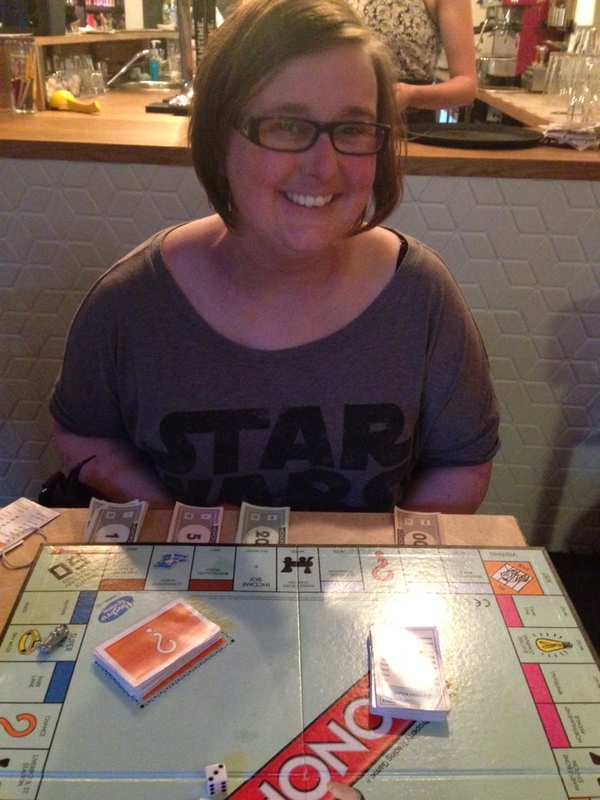 Draughts, the board game cafe…right before the tears and tantrums!